So, the Trump Russia story (or the media eruptions) had everyone buzzing this week — including my pages. This is the new normal for news. First, the structure of the so-called mainstream media makes it that way. Nearly all the media is for-profit. They survive by making money. Money comes from eyeballs – viewers or readers. The way to get them is to be entertaining or offer news as if it is sports. In other words, you pit one person or entity against another. A battle or game is far more interesting. But there is no nuance or wide-ranging exploration of issues. These are big media companies who know how to manipulate their audiences – namely the American public. And they target certain portions of the audience who have certain beliefs and biases to get them to watch or read. So, as I have said, all of the media is biased; get over it. Second, the make-up of the majority of Americans. About 80-90% of us are wired to be either liberal or conservative or Democrat or Republican. Research shows no matter what the facts are on a certain topic, most of us will not budge from our beliefs. My take: I have no desire to change your mind or waste my time trying to do it. Third, social media is no different from the mainstream media. Some folks on social media are looking for profits. Others are just looking for attention. Others get shelter to speak their minds in any way they want. In other words, social media allows people to vent their beliefs and biases without having to physically confront someone else or other ideas. It is so easy. You get your freedom without taking any responsibility. My take: go ahead and let your opinions fly but when you encroach on others, that’s going too far. We are becoming less informed. Looking at issues as entertainment or a sporting event, makes us myopic as a nation. It is also dangerous for the safety and security of our country. It makes us look lazy, stupid, and self-centered. Granted, some of us have a hard time dealing with the news media because we don’t feel like we’re being informed or we’re just too busy trying to cope with the complicated life, I would say, our media has helped create. Note: This is my view of the media and the American public. It is based on my experience, research, and yes my biases. So here are my biases. First, I am a social liberal and a fiscal conservative. I believe in real free markets, not the corrupt markets created by Congress that tips the scales to money-interests that pay (I would say bribe) our lawmakers. Second, I think both political parties have conflicting platforms that make no sense but bring in a lot of campaign money. I think someone calling themselves a Democrat or a Republican offers no useful description of who they are. In fact, it shows more often someone who has not fully examined what they believe. They are merely in the game to play. Third, when I hear someone scream about media bias, I usually ignore them because they don’t understand the media. They only understand their view of the media. “Fox is going after Obama.” “CNN is anti-Trump.” No, they are pro-audience; targeting an audience with a particular point of view. During my years in the media, I never went after, or saw another journalist go after, a politician to help another politician. I was helping myself to keep my job or make me more noticeable and profitable. Everyone does it even today. Fourth, I want to change the media and social media into a platform for solutions. Right now, the media is loaded with entertainment and not solving problems. So why am I giving you a glimpse into my biases and experience? Well these observations and biases will give you some guidelines about how I use my social media pages and what I am trying to accomplish. First, as a long-time newsman, I believe in getting a wide range of news and information out there. It is what our country was built on. I still follow the mantra: the most important journalist in your life is you because the media is biased and you have a platform now that needs to be used responsibly. So here on these pages, I try to provide you with as much credible information as possible so we can find solutions. Second, I will never try to change anyone’s opinion. I have too much respect for everyone’s individuality, upbringing, and experience. So, I will post a wide-range of content, and many times, some conflicting points of view for everyone to consider. When I engage you directly on my pages, which is rare, it is usually to explore new ideas or to see why someone believes something – especially if it something that goes against their biases. Third, I have a greater trust in my search for the truth based on my experience and ability to glean information from a variety of sources – not just one source. Fourth, I try to avoid or point out what some would consider fake news or blatant attempts to distort the truth. Fifth, I post using mostly established news organizations because they have the most vetting. Do they get things wrong? Sure, but they are most likely to admit it and change it. Does that mean I don’t post the far left or the alt-right items? No. In fact, I post a lot of them to show contrast. Someone in intelligence once told me to read even the “fringe stuff” because there are some elements of truth or facts in there. Sixth, I don’t care if you don’t follow me. I am not making money off this. If you are on-board and you want to share ideas or get a wider range of information, you are more than welcome to be here. Also, besides a probing and open mind, I am looking for decency. Seventh, this is my site. You personally attack me or my judgement, based on your narrow or particular biases, then you are gone. That is the joy of the new media. I could never do this in the mainstream media. I needed viewers for ratings. Here I don’t. So I have started a campaign of blocking people. Does that sound like censorship? Maybe. But I am taking responsibility for what comes out on my pages. And since I have a wider view of news, I think I am entitled to that judgment. You don’t think so? Then block me. So here is the background on what happened this week. A number of people criticized me for posting stories about the Trump Russia story that broke this week. These stories came from reputable news organizations. 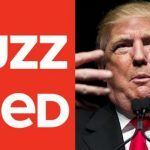 Sure, you can criticize Buzzfeed for posting the entire dossier of alleged disinformation, and I did. I also used some veiled criticism of those who were delighting in the salacious nature of the content. I thought it was interesting that people could recite all of the particulars but probably failed in understanding the workings of the federal budget and entitlements. But when someone criticizes me for being biased by posting any of it, then I have a problem. Because these people are partisans. Back in November, I posted immediately the stories about FBI Director Comey’s letter to Congress about the emails and the Weiner server. Again, this came from credible news sources. It was happening then. And yet these same people who were up in arms about me or anyone posting the Trump-Russia stories cited those Comey-Clinton stories ad nauseum. So, you want to stay on my pages make sure you acknowledge the validity of someone else’s opinion, not just your own.